Hey! Check it out! We made the “Local Foodie” section in the October 2011 issue of Traverse Magazine! p.s. For a good fall seasonal recipe, we also do a Cinnamon Orchard dried apple blend. This entry was posted in bees, Recipes, testimonials and tagged granola, honey, strawberries. Bookmark the permalink. 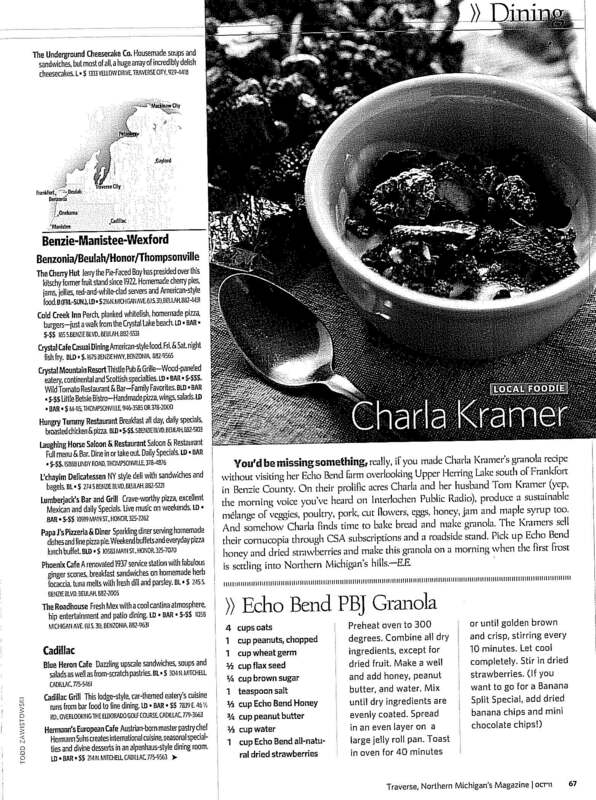 1 Response to Echo Bend in Traverse Magazine! Congrats Charla! Well deserved for all of your hard work.